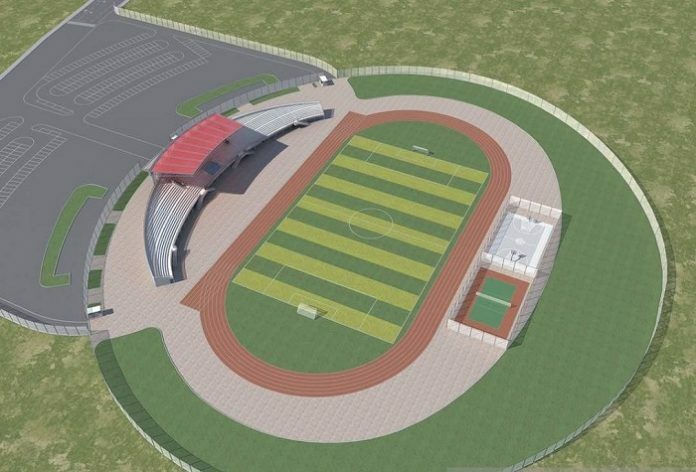 Residents of Ngoma District and their neighbors are about to actualize their long-held dream of a whole new sports complex following the completion of plans to commence the construction of Ngoma Stadium in the Ngoma District, Rwanda. The fully-fledged sports complex will be built in Kibungo sector: within Ngoma town and is estimated to cost around US $9m. It is expected to have a capacity to hold at least 3,000 people. Construction of the stadium is set to begin as stated by officials from China Road and Bridge Corporation, who will not only fund but build the stadium. The district in Rwanda has five years to pay back the loan. During the launch of the project, the district mayor, Aphrodice Nambaje, mentioned that the stadium would help the young community develop and showcase their talents. “We are really happy about this project as we have been waiting for this stadium for so long and we are expecting to have a good stadium with good standards and we look forward to seeing the local community, especially youth, benefiting from it as a source of employment during the construction and a place to nurture their talents in different sporting disciplines once the facility is completed,” Nambaje said. The project is expected to generate over 400 jobs in the district over the construction duration. The sports facility is going to be a multipurpose sports complex with up-to-standards features such as a football pitch, a running track, volleyball and basketball courts, and a tennis court. The construction of the Ngoma stadium is one of the three new district stadiums in the Eastern province that the Rwanda Housing Authority (RHA) announced would start in the coming months. This is in line with the government’s seven-year programme to promote sports. The Nyagatare, Bugesera and Ngoma stadiums will be built to accommodate 3000 people each.